Animals suffer from pain just like humans do, and they are often masters of hiding their pain. It’s important that pet owners learn to recognize signs of pain by watching their pet’s behavior and reporting any changes to their family veterinarian. 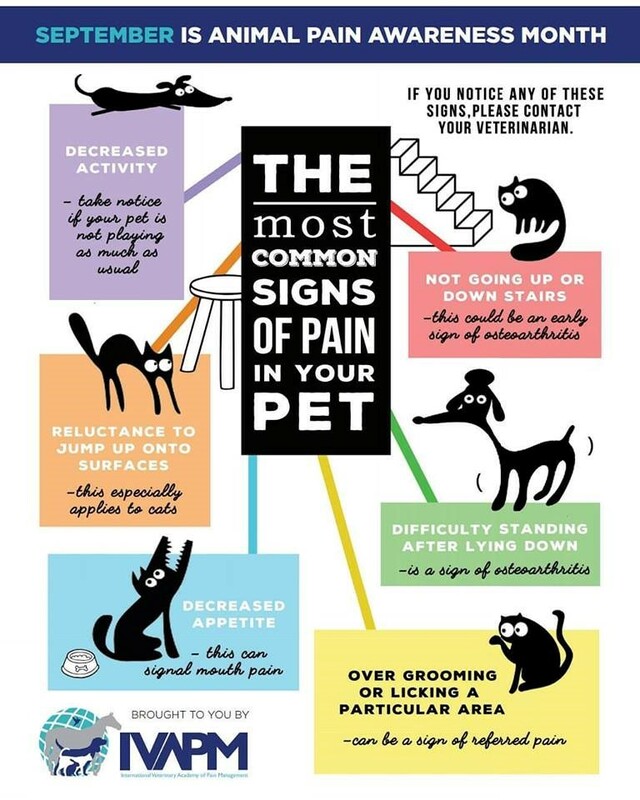 The International Veterinary Academy of Pain Management (IVAPM) has taken the initiative to raise awareness of pain our pets might be experiencing by helping to educate and inform pet owners about their pet’s health and well-being when it comes to pain management, be it acute or chronic pain. 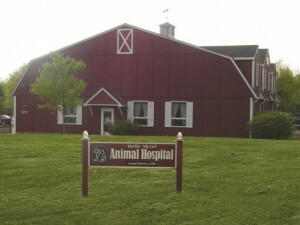 Our animals experience pain in many forms from surgical pain and arthritis to cancer related pain. Acute pain may be obvious while chronic pain can be subtle and go unnoticed by the pet owner who might not realize their pet is suffering. At the BMAH Pet Pain Clinic, there are many options to treat the various causes of pain in animals including physical rehabilitation, acupuncture, laser therapy, therapeutic massage, and pain medications when appropriate. Learn how to recognize the signs of pain, and please contact your veterinarian for a complete evaluation.